Residents of Israel are friendly and hospitable people . In the national mentality of the Jews family values are very strong​​. In Israelite families in the first place there are always children who are investing in power and love. Differences between Orthodox Jews and others are sufficiently noticeable. When meeting with an Orthodox Jew he can not evade the call, or an answer is very cold, and only on the merits. However, the majority of Jews are very sociable , cheerful and friendly. The entire population of Israel is characterized by a good sense of humor. A big number of Arabs live on the territory of Israel with Israelite citizenship. 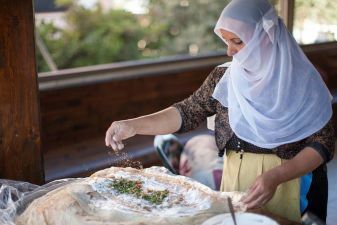 Despite the fact that the Israelite culture is associated primarily with the culture of the Jews, Arabic culture plays a big role. 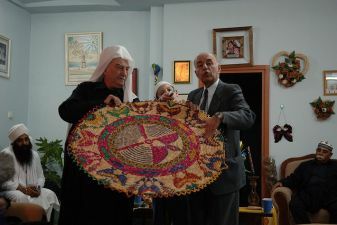 The most famous in the world is the culture of Druze Arabic-speaking people living in Israel. Bedouin culture is also known among travellers with its nomadic way of life. To get acquainted with the culture of the Bedouins you can book excursions to one of the Bedouin tribes. Saturday for Jews is a special and sacred day. On the Sabbath day shops and markets are closed. On this day, the Jews do not work physically, do not watch TV and try not to have fun.